"This work with energy and music is the spiritual work for the coming age. The seed of the spiritual is found in the physical In the heart of the cells, in the spiral of the DNA, is written the divine story. 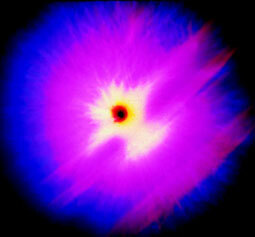 When scientific research, spiritual practice and artistic expression work together, heaven and earth are in resonance." Fabien Maman is a musician, composer, acupuncturist, author, researcher, healer, teacher, “bioenergetician” and martial artist. As a musician/composer, he performed his original compositions in the great concert halls of the world, including Carnegie Hall, the Tokyo Opera, the Paris Olympia and the Berlin Philharmonic. He was the recipient in 1980 of the Grande Prix de Composition Francaise (Grand prize of French composition). In 1977, Fabien became an acupuncturist, linking music with acupuncture. He created the now famous system which uses tuning forks instead of needles on acupuncture command points. 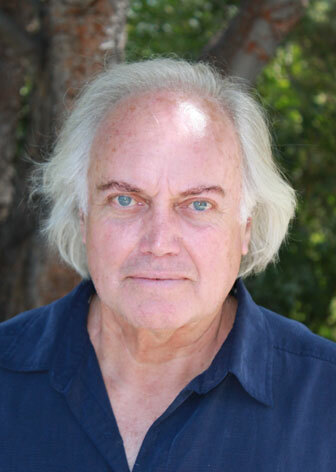 In 1988 Fabien founded Tama-Do (“Way of the Soul”), the Academy of Sound, Color and Movement®, offering a three-year training program for the evolution of consciousness using non-invasive vibrational techniques composed of Sound, Color and Movement® and Seasonal Healing Concerts. For nearly 30 years, Fabien has created research and practical applications to balance the body, mind and spirit through the subtle energy fields. He has created more than 30 techniques through his Academy, each of which, took nearly seven years to test and apply. He is in the process of developing at least 20 more. Tuning fork techniques with color lights that balance acupuncture command points as well as the spine. Fabien was the first to use tuning forks on the body, and to link them with color. A tuning fork technique for the Subtle Body Command Points using the 8 Extraordinary Meridians. There are 8 meridians, 8 chakras and 8 subtle energy fields, all of which can be harmonized with this technique. Using the Cycle of Fifths (starting with low F) instead of a diatonic scale (do, re, mi…) to balance and empower the Chakras. Studies have shown that the low F is the vibrational frequency of the circumference of the earth. Transposing Pentatonic Modes according to the key of the season, for the purpose of harmonizing with the elements of nature. Many traditions have used modes, but it was Fabien who first made the link with a key, the mode, the element, the organs and the season. A protocol for finding one’s fundamental note, which helps to empower the cells in one’s body. Many other versions of fundamental sound have been created since Fabien first introduced his cellular research. A touch technique (TEP, Tama-Do Extra Points) using sound, color and movement to balance 21 key points on the body which command the Chakras and energy fields. Tao Yin Fa, (Movement for Health), a new form of Qi Gong in five steps, working on the physical; psycho/spiritual; and cosmic consciousness levels. Fabien also created a method to find one’s “fundamental movement”, which is equivalent to the dance of one’s soul. 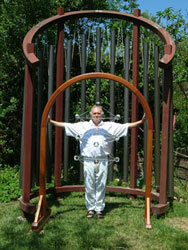 Tama-Do Sound Instruments® to “shatter” negative patterns and bring harmony in the energy field. These magnificent instruments include a monochorde table; the Giant Pyramid (a 7’X7’ pyramid tuned with the modes of the seasons); the Arche of Sound (a 13’ high ‘cathedral of sound’); and the Bagwa (a 15’ octagon). Seasonal Harmonizing Concerts to bring human beings into resonance with nature, community and the cosmos through the use of sound, color and movement. Fabien has taught and lectured around the world including College de France, Atman College de Osteopathie de Nice, Academic Hospital of Leningrad, the Bristol Cancer Clinic in England and IBRACHI, the Acupuncture College of Sao Paolo, Brazil. He also teaches every summer for his Academy in the South of France. In the United States, he was a key speaker for the World Research Foundation, the 11th Congress of Alternative Medicine, and at the second and third Sound Colloquia. He has taught at the Portland College of Acupuncture, and, for five years, he has taught at the New York Open Center. "Qi Gong of the Light®"